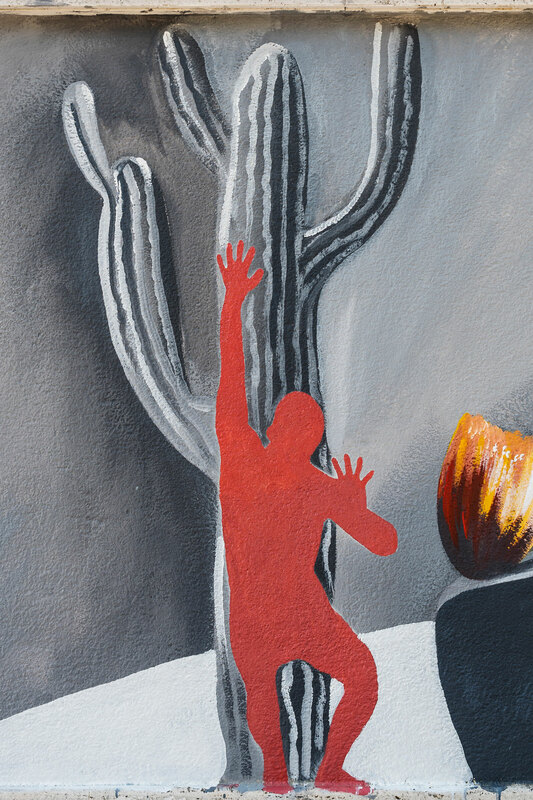 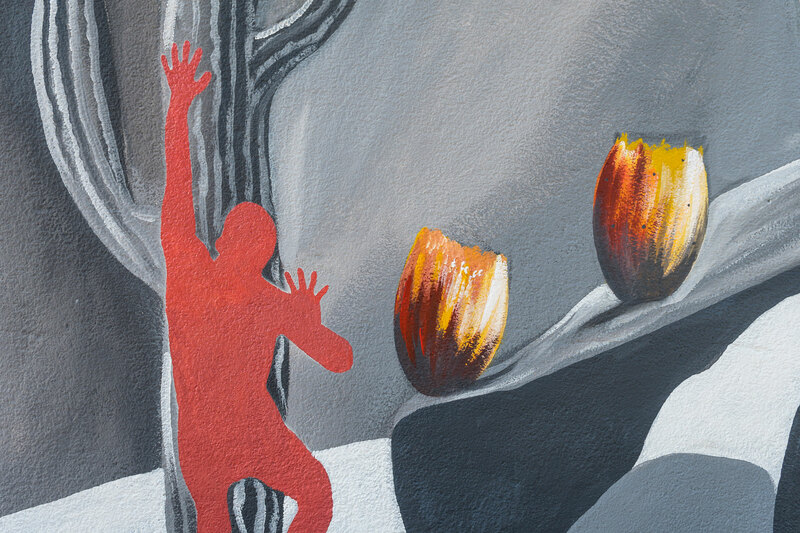 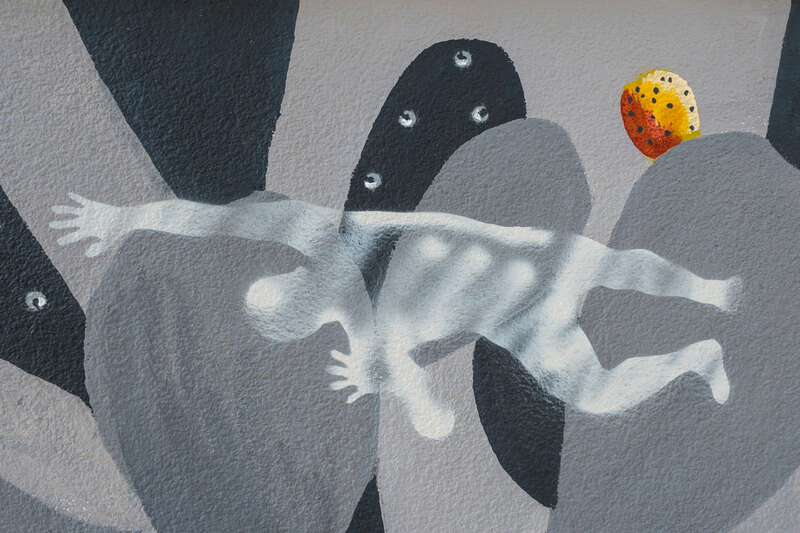 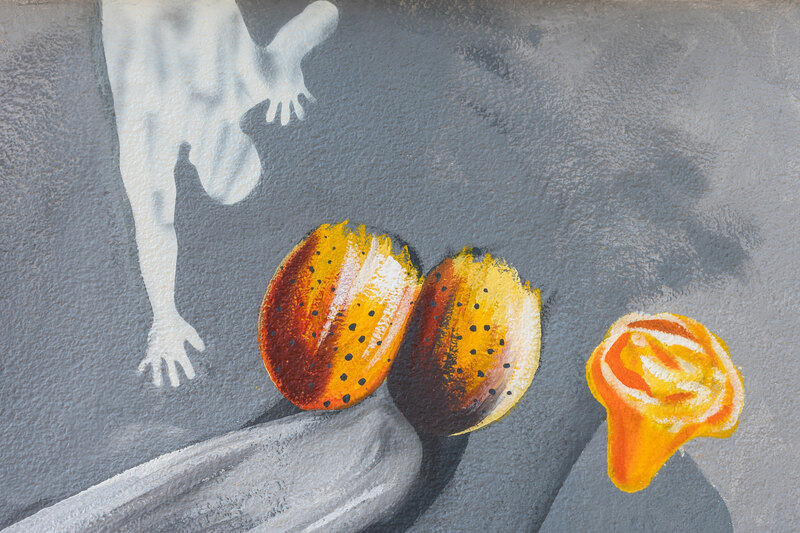 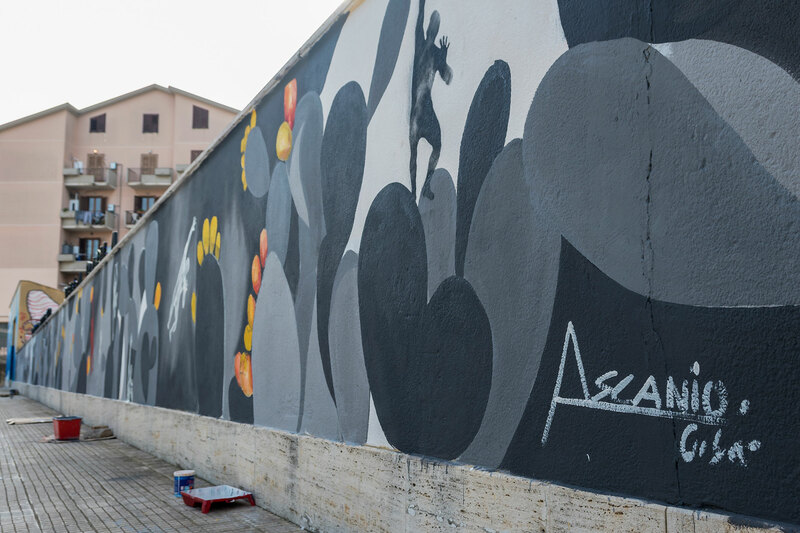 OLTRE LE SFIDE: the mural of prickly pears titled “Over the Challenges” was realized by Ascanio as a result of the ivitation by the local association Trinart. 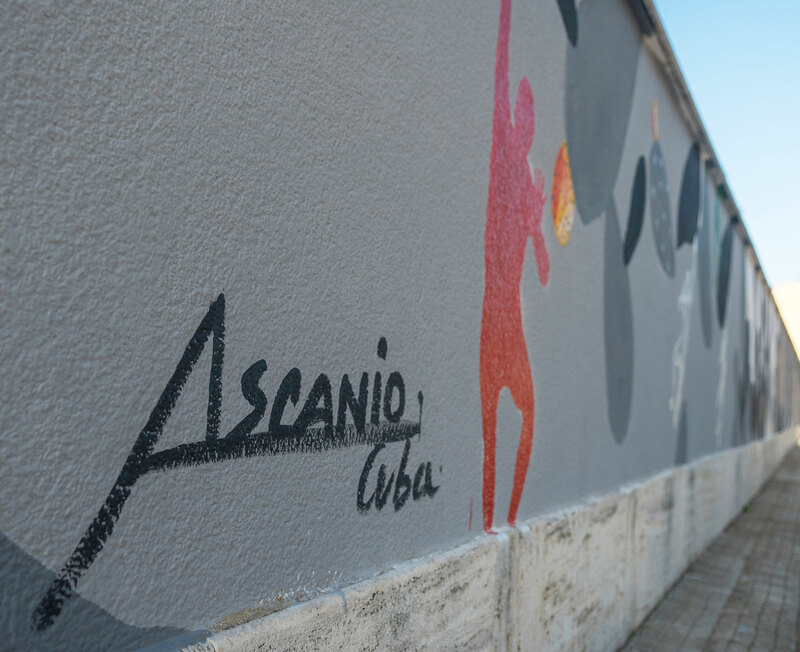 Forty-eight square meters of art signed by the Cuban artist over the challenges of a rainy and windy December. 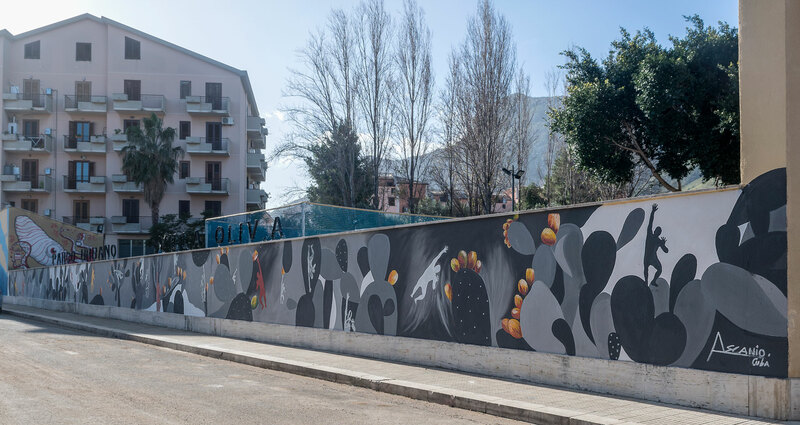 Castellammare del Golfo has now a new piece of street art to shows along the perimeter wall of Villa Olivia, Viale Leonardo Da Vinci. 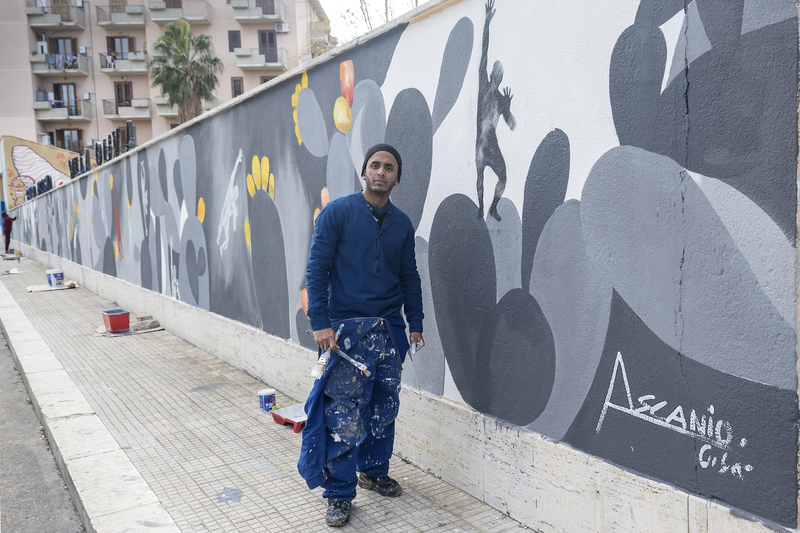 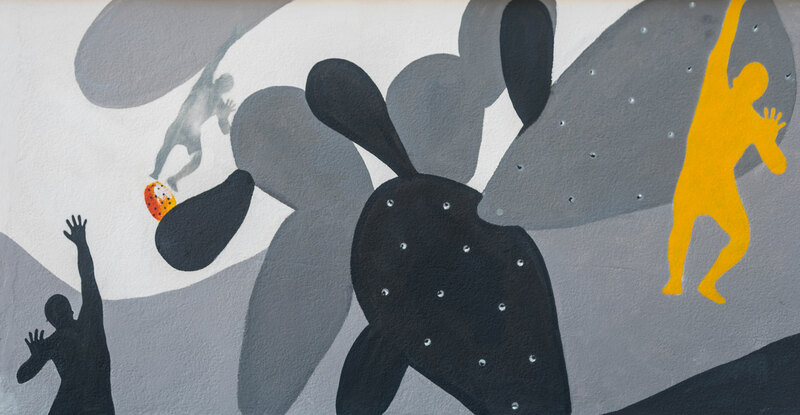 Made with the exclusive use of brushes and acrylic colors, it represents a spread of black and white prickly pears on which the fruits and flowers of the plant, symbol of the Sicilian identity, stand out in color. 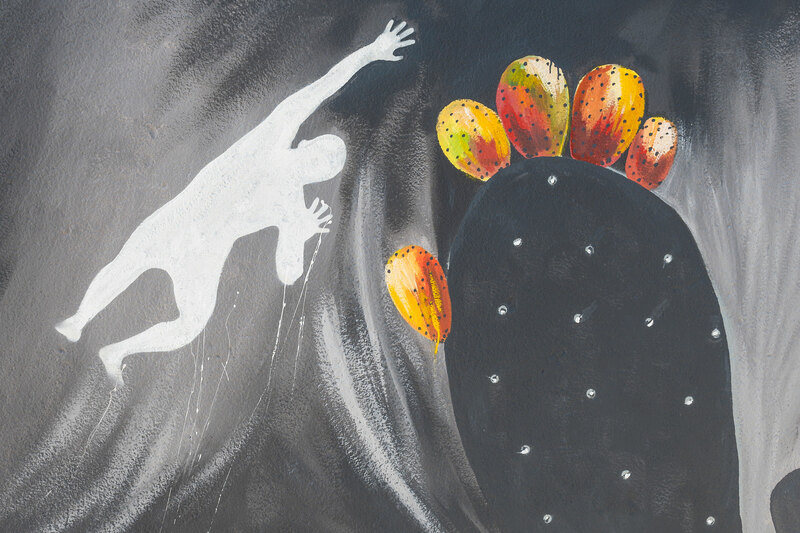 Along the entire wall, 24 meters by 2 meters high, stands the artist’s signature reproduced in different dimensions: his own silhouette of man reaching outwards, symbolic representation of the contemporary individual intent on challenging the future. 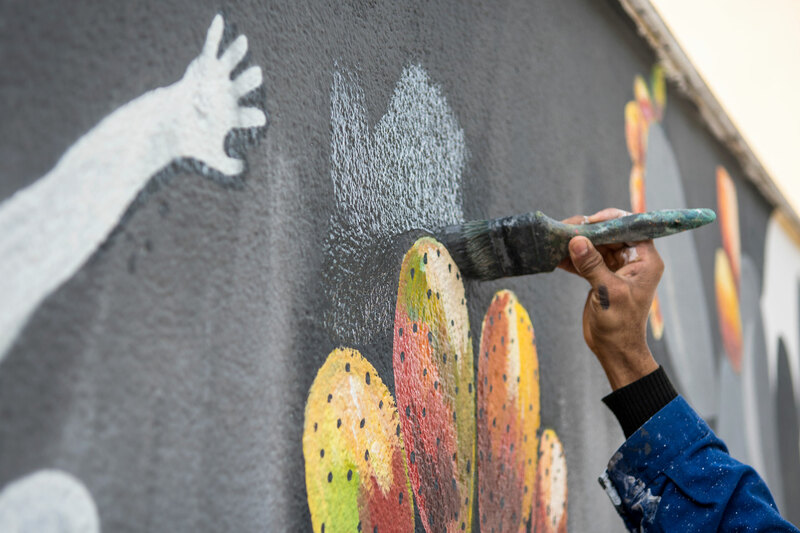 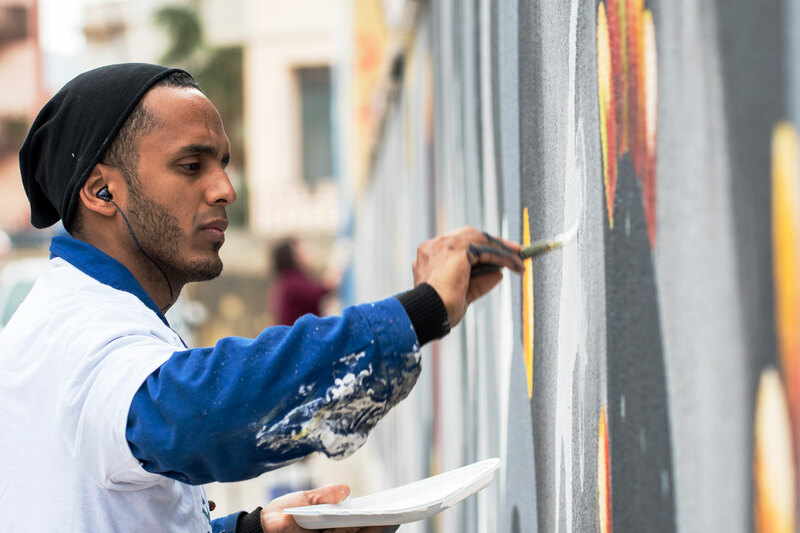 “Street art contributes to urban redevelopment” said Mayor Nicolò Coppola and the Culture Councilor Salvo Bologna, with the creation of artworks in degraded or anonymous structures. 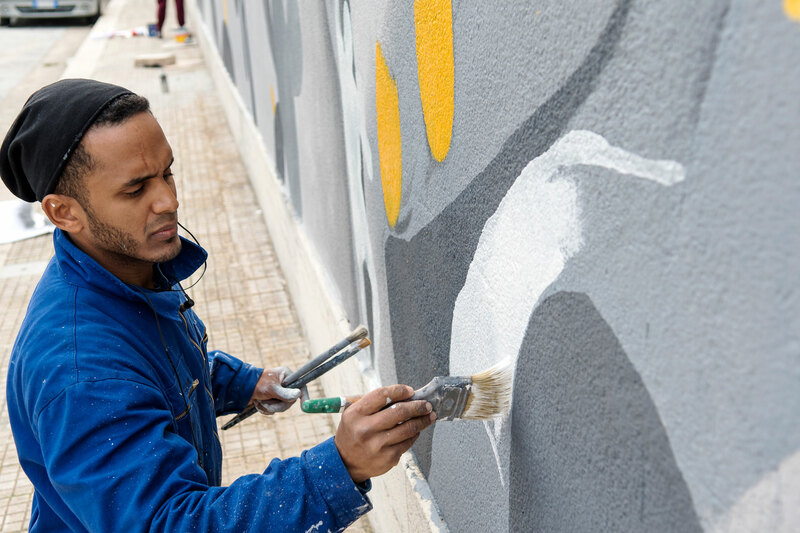 This is why we have repeatedly authorized the creation of murals, a fast means that allows you to transmit a message and at the same time redevelop areas, giving rise to otherwise anonymous urban areas.